A precedent-setting legal dispute over a $10m (£7.2m) fee relating to the 2014 sale of a $210m Paul Gauguin painting has been won by auctioneer turned art adviser Simon de Pury. 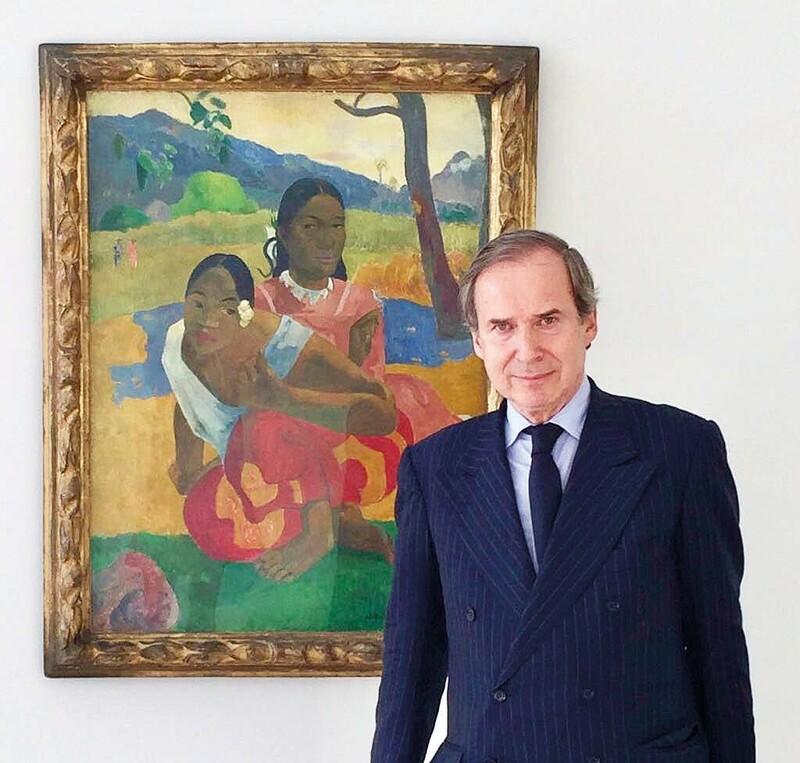 Simon de Pury pictured with Gauguin’s 'Nafea faa Ipoipo' (When Will You Marry). A judge in London’s High Court found that de Pury should be awarded the $10m payment plus costs and interest. The Tahitian period painting, Nafea faa Ipoipo (When Will You Marry), was sold to the emir of Qatar, Sheikh Tamim bin Hamad al-Thani, in a $210m private sale. Its previous owner was former Sotheby’s executive Rudolf Staechelin, whose grandfather had acquired the picture. De Pury and his wife Michaela acted as brokers between Staechelin and Guy Bennett, a former Christie’s expert who became the Qatari’s director of collections and acquisitions. The de Purys said that although there was no written contract regarding commission, it was part of a ‘gentleman’s agreement’.